Lara and Eric both have staunchly stated that the polls are not accurate and that the whole election may be rigged. They point to the thousands who throng to hear Trump speak as opposed to Clinton’s non-existent supporters. I have to agree on that point… there is a very stark contrast in the popular vote here. Both Lara Trump and Patton are part of a women’s empowerment tour, trying to make the GOP nominee more palatable to female voters. After Trump’s lewd tape, they have their work cut out for them. The left has already started a boycott against all things Ivanka. 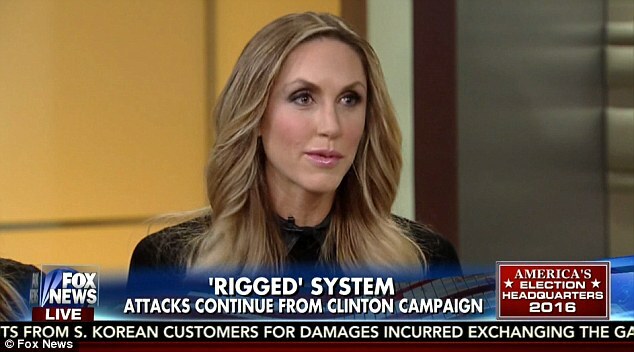 Donald Trump’s daughter-in-law Lara Trump, married to middle son Eric, hinted on ‘Fox & Friends’ this morning that the Republican nominee may be holding onto an ‘October surprise’ to drop on Hillary Clinton. 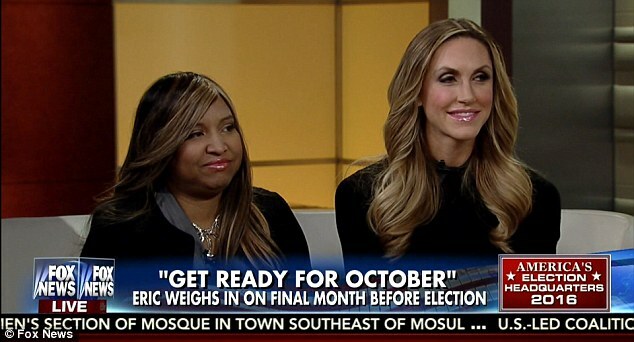 With 15 days left until Election Day, Lara Trump – appearing on the program with Lynne Patton, the vice president of the Eric Trump Foundation – said that she and the family were ‘feeling great,’ while talking about the tough realities of October, always a brutal month in presidential politics. 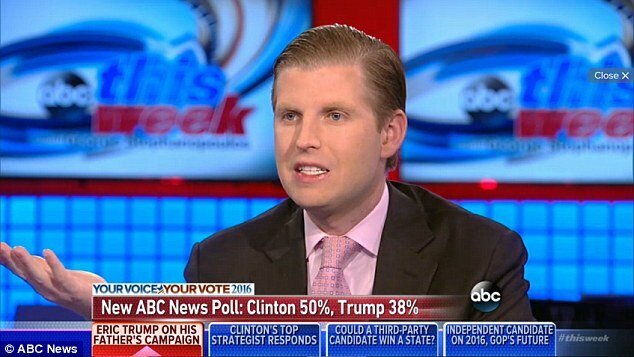 This has got to be very hard on the Trump clan. I wouldn’t wish this pressure and savagery on anyone. The left is calling for Trump’s head over that tape… with only heresy and accusations. 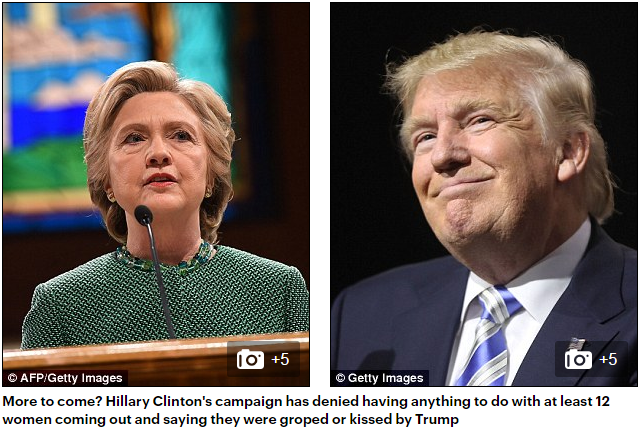 No real proof has surfaced yet and Trump is swearing he’s going to sue all the women accusing him. I have no idea if there is a ‘there’ there, but I’d really like to see solid proof before saying off with his head. The timing of all these accusations is beyond contrived and convenient if you ask me. And yet, Clinton has to answer for none of her proven sins. The media is claiming Trump has already lost, but never say never until the votes are tallied. We’ll see come election day… until then, if I were Clinton, I’d be getting very nervous about that October surprise.